This beautiful malachite azurite gemstone has dramatic colors of greens and dark blues and brown running through it. 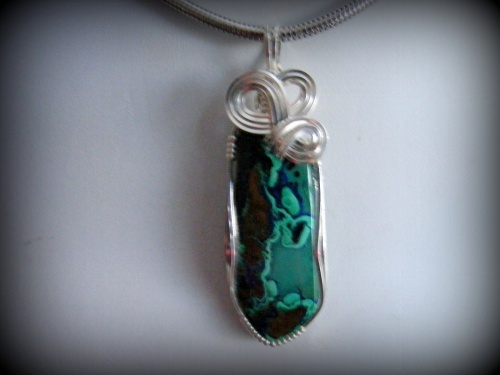 Its so elegant with its sterling silver curls. Azurite is said to expand the mind. Measures 2" by 1/2" and comes with a sterling silver snake chain.